Google has added another bonus for people who pre-order the 5.5-inch Google Pixel 3. If you pre-order the Pixel 3 from the Google Store before October 31st 11:59pm PT, not only will you get a free Pixel Stand but you’ll also get $75 CAD to spend on the Mountain View search giant’s online store. According to Google, the $75 will be added to Google accounts six to eight weeks after the end of the promotion period. 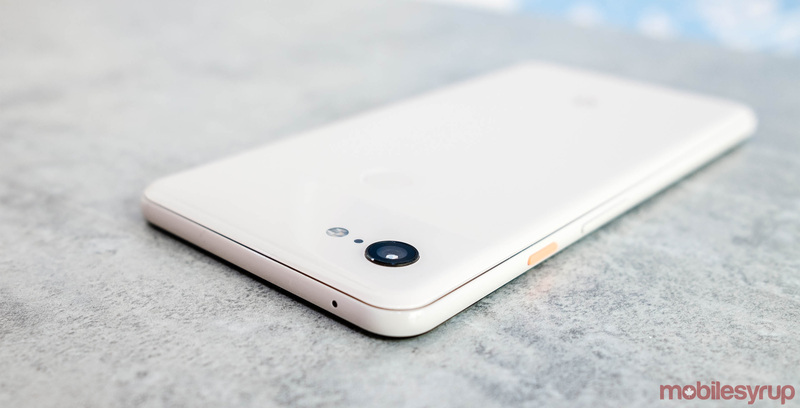 The Pixel 3 is the latest smartphone from Google. The handset costs $999 CAD for the 64GB variant and $1,129 for the 128GB configuration. The phone is available in Just Black, Not Pink and Clearly White and features 4GB of RAM, Android 9 Pie, and a Snapdragon 845 processor. Google is set to release the Pixel 3 in Canada on November 1st, 2018. For more on the Pixel 3, check out our review of it and its larger brother, the Pixel 3 XL. Also let us know in the comments below if you’ve pre-ordered either the Pixel 3 or the Pixel 3 XL.